CMG installs new lawn sprinkler systems, performs sprinkler system repair and installs drainage systems. We service all of Central Oklahoma including Edmond, Oklahoma City, Moore, Norman, Midwest City, Del City, Purcell, Blanchard, Newcastle, Mustang, Yukon. If you live in Oklahoma City and need a new lawn sprinkler system installed, or if you live in Norman and need a french drain or surface drain, or if you live in Mustang and your sprinkler system doesn’t work the way that your want it to, give CMG Sprinklers and Drains a call. CMG drainage systems can solve drainage problems that are complex or very simple. 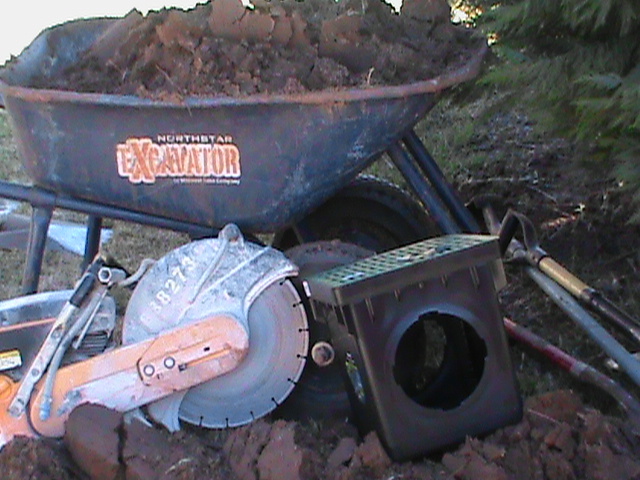 We utilize French Drains, Surface Drains, Channel Drains, Basement Drains, Basin Drains, Trench Drains, and Sump Pumps. Servicing Central Oklahoma including: Purcell, Norman, Moore, Oklahoma City, Edmond, Del City, Midwest City, Yukon, Mustang. CMG Sprinklers and Drains — Recently due to very cold weather, many people with Sprinkler Systems in the Oklahoma City area had Sprinkler Pipes freeze and bust. In Norman, we fixed broken Sprinkler Valves that had frozen because they had been installed incorrectly. The Sprinkler System Company that installed them didn’t know what they were doing. There was no Master Valve installed in the Sprinkler System. 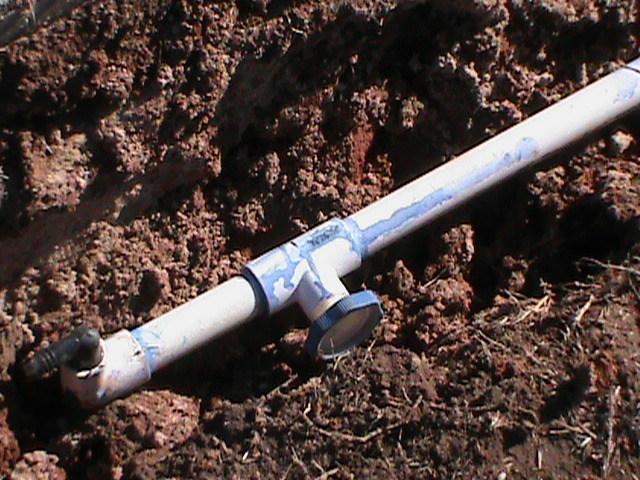 As a result, The Sprinkler Pipe between the water meter and the Sprinkler Valves stayed pressurized all the time. This is bad during a cold snap in Oklahoma. If a Master Valve and In-Line Pipe Drains had been installed originally, there would be no broken pipes when it got too cold. The Sprinkler Pipes would drain automatically. 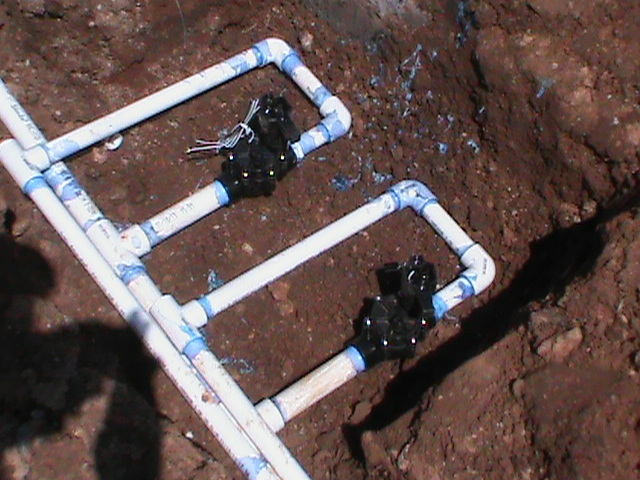 CMG always installs a Master Sprinkler Valve on every new Sprinkler System that we install. If you are thinking about having a Sprinkler System installed, always ask if a “MASTER VALVE ” will be part of the Sprinkler System. If the Sprinkler Company says “NO” then ask why. Any answer to convince you that it isn’t necessary is pure BS. If they don’t know what a Master Valve is, Then RUNNNNNNNNNNNNNNNNNN! Unfortunately, poor or cheap Sprinkler System Installation is common. CMG provides expert Sprinkler Repair within 50 Miles of Oklahoma City in all directions. Thanks for sharing all these informations to the readers. The informations given in this page is really helpful to the readers. According to the descriptions and images given, I think you are providing the best service to the customers. Oklahoma City French Drain, French Drain Contractor, Edmond, Norman.